Cobh Heritage Centre is located in Cobh’s restored Victorian Railway Station and is steeped in history. A fantastic place to visit with many things to do. 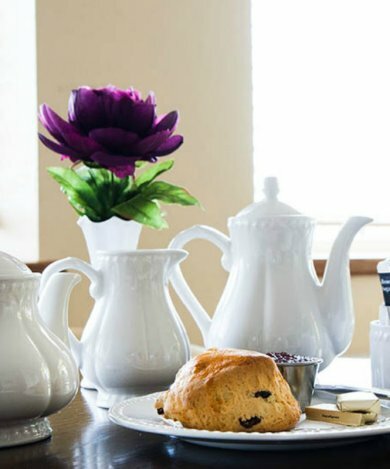 Come have a cup of tea or coffee and a bite to eat in our café, followed by some shopping in one of our shops such as Christies Irish Store Gift Shop. After you have had a bite to eat and done some shopping you should then visit “The Queenstown Story” inside the Heritage Centre which dramatically tells the story of Cobh’s unique origins, history and legacy through a stunning multimedia exhibition. Cobh’s Heritage Centre is a family friendly attraction which has something for everyone. Cobh Museum is situated overlooking Cork Harbour. The exhibitions reflect the cultural, social and maritime history of Cobh and the Great Island. Formerly known as Queenstown, Cobh has a long maritime history and is known throughout the world for its association with emigration and was the last port of call for the RMS Titanic. The Museum holds the last written record for the RMS Titanic in the Pilot's Log book. There is a small genealogical reference section in the museum where visitors can do their own family research. Families and groups welcome. The museum is open Monday – Saturday 11 – 1pm; 2pm - 5pm and Sunday 2.30pm – 5pm. Titanic Experience Cobh is a permanent visitor attraction situated in the original offices of The White Star Line. The location marks the departure point for the last 123 passengers who boarded the Titanic. Our story is told using innovative audio visual technology bringing our characters to life through cinematic shows, scene sets, holographic imagery and touch screen technology. We invite you to retrace the footsteps of our Queenstown passengers. INVESTIGATE how it all went wrong… The unbelievable and “almost” impossible sequence of events that occurred to cause Titanic to sink. The most relaxing, informative and fun way to view Cobh’s historic sites and beautiful sea views is aboard the Cobh Road Train. As you meander gently up and down the Victorian streetscape, taking in the panoramic views, our knowledgeable and friendly driver/guide will inform you of Cobh’s fascinating history. It’s ideal for young and old alike. Cobh Road Train takes you through the town stopping at, a spectacular viewing point which provides an opportunity to view the inner and outer harbour and the historic Spike Island. St. Colman’s Cathedral is also situated along the route. Ideal locations for photo opportunities are included and passengers are afforded the opportunity to disembark and enjoy the surroundings. Cobh Road Train is both fun and informative. The Sirius Arts Centre is a multidisciplinary non-profit centre for the arts located in Cobh. Founded in 1988, Sirius is dedicated to facilitating artistic expression in Ireland. Our yearly programming raises artistic awareness, provides opportunities for participation in and enjoyment of the arts, this is achieved through visual arts exhibitions, an artists-in-residence programme, music concerts and community engagement programmes. The Sirius Arts Centre's building, formerly the Royal Cork Yacht Club, provides the organization with a unique environment, and revitalizes an important architectural gem on the banks of Cork Harbour. Cork Harbour Boat Hire is a new self-drive boat hire service offering you the chance to become your very own skipper. We are situated in beautiful Cork Harbour, the second largest natural Harbour in the world. Cork Harbour Boat Hire offers you the chance to get afloat and experience what it is like to drive your very own boat! All our tours are led by a fully qualified safety boat guide, who allows you to independently explore and discover Cork Harbour while showcasing the Harbours natural beauty. From the water visit the Irish Naval base, cruise past Spike Island, spot the sights such as, St. Colman’s Cathedral and Cobh’s seaside Promenade. View the historic White Star line ticket office and original pier where the last Titanic passengers embarked on its fatal voyage all while skippering your very own boat. Suitable for groups, friends, families, couples, schools and corporate groups. St Colman’s Cathedral and its beautifully architecture is a Roman Catholic cathedral located in Cobh. It is the cathedral church of the Diocese of Cloyne. Built in 1867, the Cathedral of Saint Colman is a large and elaborately detailed neo-Gothic building. It is prominently sited overlooking Cork harbour and visible for quite a distance. Tourists often climb the hills of Cobh to admire and photograph it. Come in and have a look at the expertly detailed craftsman ship that was put into wood carvings, stone carvings and flooring. The exterior detail is intricate, elegant and well-proportioned. Its south front faces out to the sea and hosts flying buttresses, gargoyles and pinnacles. The cathedral contains the largest church carillon in the Republic of Ireland with 49 bells. An automated system strikes the hour and 15 minute intervals while it also rings the bells in appropriate form for Masses, funerals, weddings and events. The carillon is also played on special occasions and generally every Sunday afternoon by its current carillonneur, Adrian Gebruers. The Titanic Trail Cobh (Queenstown), is a fascinating guided tour that explores the town of Cobh which was the last port of call of RMS Titanic. This Irish heritage walking tour takes visitors through the historic town of Cobh where the buildings, streets and piers have not changed since the Titanic’s sinking over 100 years ago. The entertaining and innovative Titanic Trail has been operating every day since 1998. The one hour escorted tour, with specially trained guides, brings to life the story of Titanic, and the events in the town on the day Titanic left her last anchorage to sail into her icy fate in the North Atlantic. Cork historian, Dr Michael Martin, the creator of the Titanic Trail, offers a truly authentic Titanic experience. The Titanic Trail has been filmed by 20th Century Fox, National Geographic and many other travel documentaries. The Escapade Cobh experience is a fun and captivating indoor activity for teams of 2 to 8 people. Escapade Cobh is a fantastic family fun activity, is great for a night out with a group of friends or for a corporate team building outing. 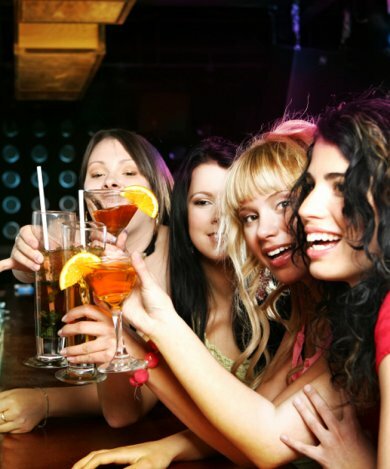 It is ideal for anyone looking for fun things to do that do not depend on the weather. 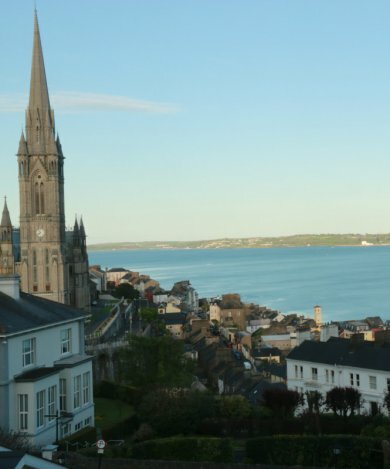 We are located in the centre of Cobh, just 25 minutes from Cork city. Since opening in summer 2016 we are rated on TripAdvisor as a Five Star Fun and Games activity, so you will love the excitement that Escapade Cobh has to offer. The aim of our Adventure Rooms is to escape from the game within sixty minutes by finding hidden items, solving riddles and puzzles and entering codes. Your friendly and helpful Gamemaster can provide additional help along the way so that your team is always progressing and having fun. Whether you “Escape from Spike Island” take part in a “Late Night Bank Heist” or help “Sherlock Holmes” to solve his final case before his retirement, you will definitely enjoy a fun filled challenge. SailCork has been involved in watersports training and holidays for 40 years in Cobh and on the south coast of Ireland and is run by Eddie English. The English family has been involved in seafaring in Cobh for 5 generations. Eddie has been teaching sailing since 1969 and is one of the most experienced instructors in the sport. He is a Dinghy and Powerboat Senior Instructor and Trainer and has been training instructors for over 30 years. He is also a qualified scoolteacher and has lectured at college. Eddie is also a yachtmaster instructor /examiner. He began his offshore experience in his early teens and races dinghies and cruisers. Besides sailing cats he sails on cruisers and competes in many major regattas around the world and cruises thousands of miles each year. This is a fantastic way of getting on the water during your next trip to Cobh so for more information contact Sail Cork. In the last 1,300 years Spike Island has been host to a 6th century Monastery, a 24 acre Fortress, the largest convict depot in the world in Victorian times and centuries of island homes. The island's rich history has included monks and monasteries, rioters and redcoats, captains and convicts and sinners and saints. Today the island is dominated by the 200 year old Fort Mitchel, the star shaped Fortress which became a prison holding over 2,300 prisoners. Take the scenic ferry ride from Kennedy Pier, Cobh, and enjoy a fully guided tour of our island and fortress, and relax in our cafe and picnic areas. Get captured in the history and mystery of this magical heritage island. Nominated for Europe’s leading tourist attractions 2017 at the World Travel Awards! Situated within Cove Fort, the newly opened garden is beautifully landscaped and is within easy walking distance of the town centre. It overlooks the final anchorage of RMS Titanic at the mouth of Cork Harbour where on 11th April 1912 the final 123 passengers boarded the majestic Ocean Liner. The focal point of the garden is a Glass Memorial Wall onto which the names of those 123 passengers are inscribed. The garden project was a collaboration between Cobh Town Council, the Cobh Titanic Centenary committee and Cobh Tourism. On a bright sunny day the setting and views of Cork Harbour from here are stunning. Within the garden is a memorial stone to Bruce Ismay, the chairman of White Star Line in 1912 and a survivor of the sinking. There is also extensive information on famous ships that are associated with Cork Harbour. The garden is located at the east end of the town. Shoot the family, hang the kids and frame the wife!! We are a walk in studio equipped to get individual, family or group shots in period style, costumes and sets are available to send you back in time for your photo. Be a 19th century emigrant or earl or perhaps a pirate of the skibbereen, with our wide selection of costumes we can transform you into almost anything you want from another time period to give you a fun photo which you can enjoy for years to come. Cobh Golf Club’s 18 hole championship Golf Course is located at Marino Point in Cobh. It opened for full play in June 2009, the parkland style course is located on an elevated area of land with panoramic views over the inner Cork harbour. Water also features on the golf course, guarding two of the Par 3, one of which has an island green with the River Lee forming a stunning backdrop. Cobh Golf Club is a members owned Club affiliated to the GUI and ILGU. The course is constructed to a high specification with USGA greens and tees and the Hawtree Ltd designed golf holes offer an interesting variety of challenges. The course is a modest 6250 yards from the main tees, but the back tees extend its length to nearly 7000 yards, (Par 72, par 73 for Ladies) offering a stern test to even the best of golfers. Fota Wildlife Park is a joint project between the Zoological Society of Ireland and University College Cork (UCC), an idea originally conceived in the 1970s by former Director of Dublin Zoo, Dr. Terry Murphy. The Park was officially opened in 1983 by the then President of Ireland, the late Dr. Patrick Hillery, and has gone from strength to strength since - welcoming record visitor numbers in the years after a significant redevelopment of facilities in 2010 and 2011. It has been listed as one of Ireland’s Top Ten visitor attractions and is the most popular tourist destination in Cork. Fota is a non-profit organisation, limited by guarantee, and is also a registered charity. It is completely self-financing, relying entirely on gate receipts and membership fees for its income, and any financial surpluses generated are reinvested in order to improve infrastructure and promote the company’s core objectives of conservation, education and research. Fota House offers you a special visiting experience. With its wealth of treasures, you can immerse yourself in a world of elegance and beauty. From daily house tours to regular outdoor events, there's always something happening! Fota House was originally built as a modest two storey hunting lodge for the wealthy and powerful Earls of Barrymore. During the 1820s, the house was extensively remodelled by John 'The Magnificent' Smith Barry into an elegant Regency mansion. The sumptuous interiors from that period have recently been restored to their former glory and give the visitor a privileged look at the best of 18th and 19th Century Irish craftsmanship. Fota remained in family ownership until the death of Mrs Dorothy Bell in 1975. Since then, the Fota Estate has passed through various phases of ownership involving University College Cork and the Fota Trust. In December 2007, the Irish Heritage Trust took ownership of the house and invested in major restoration and conservation work since then. You can uncover the fascinating history of the Smith Barry family and their servants in 'Aspects of Fota' - a trio of guide books published by the Irish Heritage Trust and for sale in our shop and here. Fota Island Golf Club is just a few minutes’ drive from Cork City's international airport and passenger ferry terminal and Cobh town. Located in the heart of a stunning 780 acre estate which is included in "The Inventory of Outstanding Landscapes in Ireland". The splendid woodlands are woven into three challenging championship courses which are very much in the traditional mode, featuring strategically placed bunkers and undulating putting surfaces. When visiting Fota Island Golf Resort, choose from our three championship golf courses - Deerpark, Belvelly or Barryscourt. Each of these great golf courses are guaranteed to challenge both the short and long games of golfers of all abilities. Between rounds golfers can also avail of our well-equipped Golf Academy which allows golfers to hone their skills. We suggest booking your round of golf or your golf lesson with one of our professionals in advance, whether you are visiting for the day, or on a golfing break, to make sure that you get the pleasure to enjoy our golf facilities. Join us for a guided tour through the past of Irish whiskey making, learn about the Angles Share, Triple Distillation and above all the smooth taste of Jameson Irish Whiskey. Set over 15 acres, and only 15 minutes’ drive from Cobh, on the banks of the Dungourney River, the Jameson Experience, Midleton is both a cultural & educational experience. Free ample parking is available for guests and group bookings are welcome. The journey begins with a short film, followed by a walk through the old distillery grounds culminating in the Jameson Bar with a complimentary glass of Jameson and the chance to become a Qualified Irish Whiskey Taster. Following your tour, enjoy a lunch in the very popular Malthouse Restaurant or browse the exclusive Jameson distillery gift shop where you can purchase personalised gifts, clothing and mementos of your visit. Open 7 days a week, from 10am-16.30pm.